Hello! 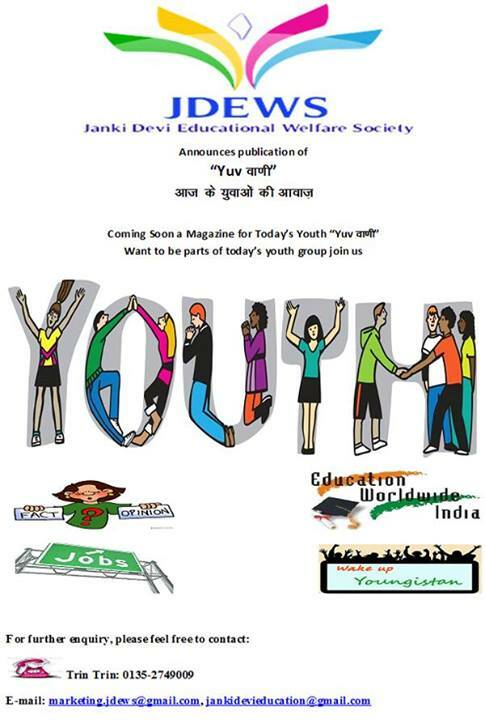 Everyone Janki Devi Educational Welfare Society is going to hold a Photo Contest for all the aspiring photographers in and around the vicinity of Dehradun. The information regarding this contest is given below. So time to get those Camera’s out and start clicking…. 1. The dimensions of the photographs should be either 6X8 or 8X12. 2. A maximum of 4 photographs per category can be submitted by the contestant. 3. Contestants would be required to give in writing that the photo submitted by them is their original work. 4. A brief description about the photograph would also be required. 5. 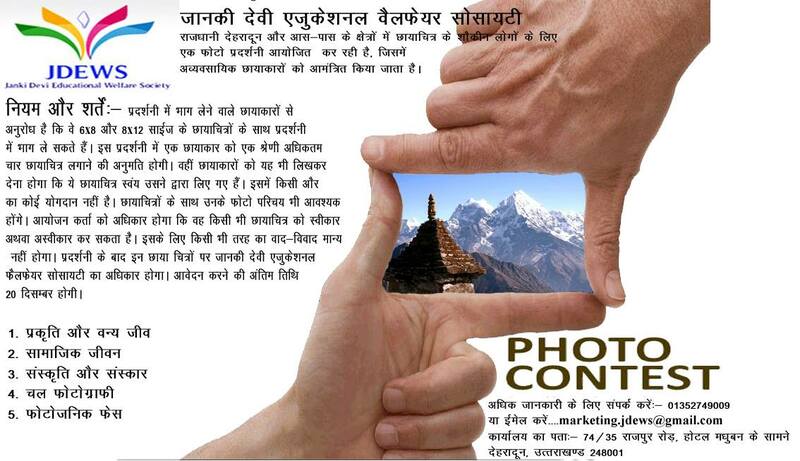 It is entirely upto the organizers to select or reject any photograph and no query regarding it would be entertained. 6. 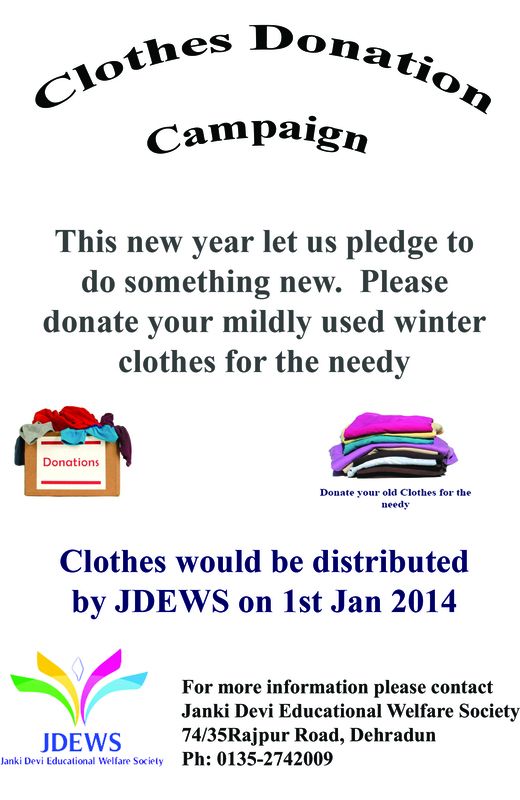 After the contest is over the photographs shall remain with Janki Devi Educational Welfare Society. 7. Last date to apply is 20th December 2013.